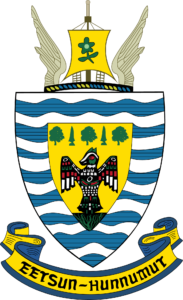 The District of North Saanich is located at the north end of the Saanich Peninsula approximately 25 kilometres north of Victoria, British Columbia on southern Vancouver Island. The District is surrounded on three sides by 40 kilometres of ocean shoreline, is home to the Victoria International Airport, and the Swartz Bay Ferry Terminal. This area historically emerged from several coastal focal points inward to the interior of the Peninsula. Today, the community-like neighbourhoods which include Ardmore, Deep Cove, Curteis Point, Cloake Hill/Green Park, Dean Park and the South East Quadrant are on the periphery of a rich agricultural interior which is protected by the Provincial Agricultural Land Reserve. Agriculture is very important to the municipality, as evidenced in the number of farms, and road side produce and flower stands. More facts and statistics related to the Capital Region can be found at the CRD’s Fact Sheets webpage.